Vote Adam Adrianson for Michigan State University Trustee! 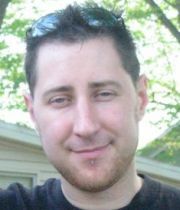 The Socialist Party of Michigan has nominated SPMI State Chairperson Adam Adrianson for Michigan State University Board of Trustees in the November 6, 2014 General Election. Due to the Michigan Secretary of State’s continuing exclusion of the Socialist Party from being listed on the Michigan ballot, Adam will be listed on the November ballot with the Green Party of Michigan ballot label, while running and campaigning on behalf of both dually nominating parties. Following a five-year period since a Socialist Party Local was last organized in Michigan’s Upper Peninsula, the Party has officially rechartered the Socialist Party of Marquette. 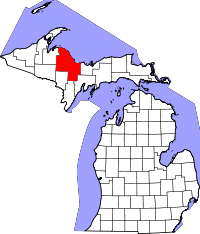 The Local is now holding regular meetings in the Marquette County area and looks forward to recruiting an expanding base of new local members to become involved. Contact information for the newly chartered Local can be found here. 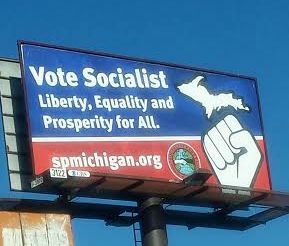 The Socialist Party of Michigan is trying to secure funding to put up a billboard in the Detroit area. We feel this will help generate media attention as well interest in socialism and the party. Thanks to all who contributed and helped get the word out. We did not meet out goal, so we will have to figure out how to make up the difference. We want to be able to have the billboard up in September or October. Our new publication, The Michigan Socialist Webzine, is now online at http://themichigansocialistwebzine.org/. Focusing on news and analysis on the class war in Michigan, we plan to post original content several times a week. If you would like to become a contributor to the webzine, please contact the editors at editor@themichigansocialistwebzine.org.